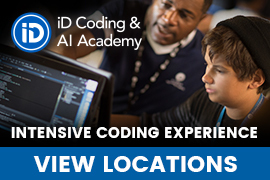 A comprehensive guide to all local area camps in Newtown and Yardley including academic camps, day camps, computer and technology camps, sports camps, performing and visual arts camps, special needs camps, and sleep-away camps! 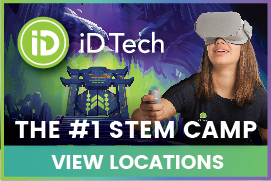 Also listed are educational programs, summer activities, and articles addressing first time campers and choosing the right camp for your child. George School Day Camp 2019 June 24 - August 16 is open to boys and girls aged 4-14. Campers participate in a broad range of activities from swimming to equestrian, archery to the arts, and everything in between. Our program focuses on age-appropriate games and activities to promote friendship and fun by practicing skills like working with others, waiting their turn, and handling success, failure, and frustration in an environment where they are encouraged by a supportive and loving staff. We emphasize the Quaker philosophies of respect for the individual and each person's responsibility to the group. Though we are not a sports camp, campers do participate in a variety of traditional team sports with emphasis on mastery of skills, teamwork, sportsmanship, and fun. Camp meets M - F, 9am to 3pm. For information call 215-579-6689. We offer exciting programs for all ages: Snipes Farm Day Camp for children ages 5-11; the Camp Leadership Program for youth ages 12-14 and the CIT program for teens ages 16-17. Days on our beautiful historic farm begin with fun farm chores: feeding animals, tending the children's garden, harvesting vegetables and cooking a morning snack. Daily activities include: art, science, theater, music and games. Campers explore the woods, creek and fields finding critters, habitats and having adventures! Fruit picking, fort building, painting, juggling and circus arts are some favorite camp activities. The Camp Leadership Program includes a weekly field trip, a weekly chance to plan a menu, harvest and make lunch together, and leadership training to mentor younger campers. Our week-by-week camp season runs from June 25- August 24. 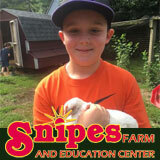 For more information or to register: www.snipesfarm.com/camp or call: 215-295-1139 Ext. 106. Come ROLL, flip and leap into Summer with us! Dynamix Gymnastics is a state of the art facility, our experienced Coaches have designed an amazing camp in which your child will learn new gymnastics skills, make new friends, and so much more. Give your child a fun filled summer to remember for years to come. 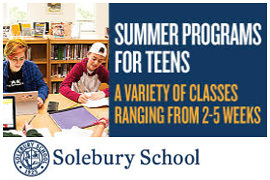 Summer sessions are offered and run for 4 days in a row for 1 ½ hours from June to August. 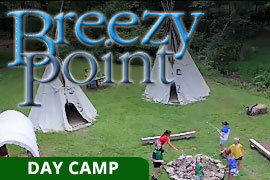 Two sessions are available: 11:30 a.m to 1:00 p.m and 3:30 p.m to 5:00 p.m.
Breezy Point Day Camp has been family owned and operated since 1955. We offer 4, 6 or 8 week programs for campers ages 2 through 14. Campers entering 8th or 9th grade are part of our Counselors In Training Program. Breezy Point's program is an expansive one in which each child is encouraged to explore his or her own creativity and achieve many new skills in a relaxed, friendly and cheerful atmosphere. Regular camp hours are 9:30 am to 3:45 pm, Monday thru Friday. Extended hours are available from 7:00 am to 6:00 pm at no additional charge. Parents choose what times they will bring and pick-up their camper. As well as our full or extended day offerings, BP offers a "Mini-Camp", for children ages 2.0 as of June 1st thru those "entering kindergarten" in the fall. The hours are 9:30 to 1:00pm. Parents can select 3 or 5 days. ; 4, 6 or 8 weeks. 2019 Open House Date: 4/7, 1-3pm. Located in Hopewell. Tuition includes door-to-door transportation, daily lunch (including cookout on Fridays) and a daily afternoon snack. The sprawling campus, on 225 acres, includes 2 lakes, 4 swimming pools, 4 tennis courts, 4 Ga Ga courts, sports fields, a gymnasium, extensive indoor facilities including creative and performing arts studios, mini-golf course, a low ropes challenge course, a golf driving range, mountain biking trails and more! Since 1976, we have provided just the right combination of fun and challenging activities that create the most exciting day camp around, for little ones, elementary and middle school aged children - and teens.